A little creativity can go a long way. A lot of creativity can help create a wedding day that is guaranteed to be like no other. Everywhere you looked at the celebration of Jordan Spindler and Michael Gehlmann there were special, unique, and extremely creative touches. 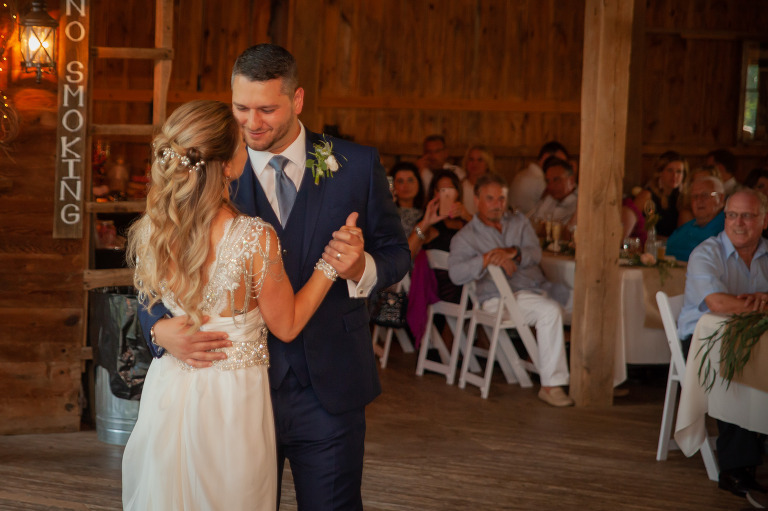 They poured themselves into making their special day at Shady Elms Farm one that truly reflected their style. 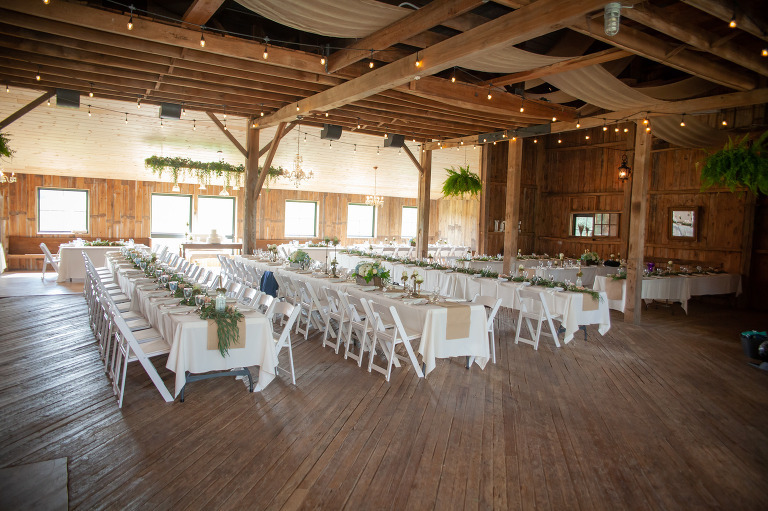 Custom made signs from old window panes, jars of homemade jam as favors, and a separate barn just for cookies all helped set the stage for a once-in-a-lifetime occasion. I was able to help out by providing a couple of microphones for the the ceremony. 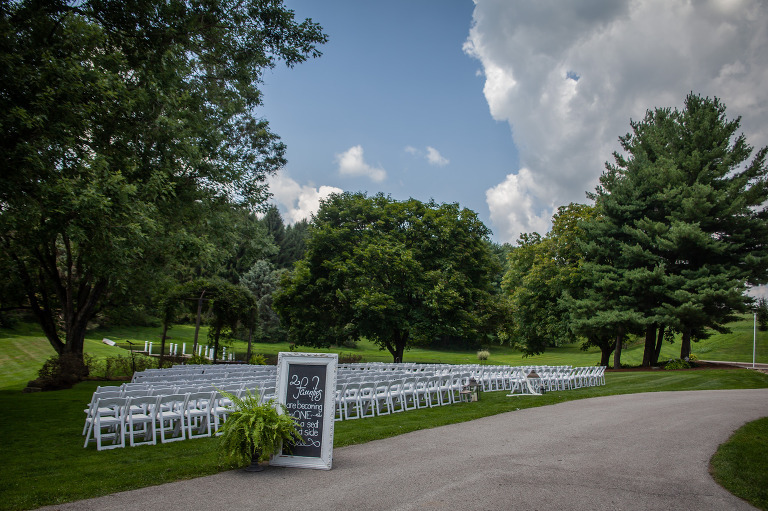 It was a perfect day as the couple said their vows by the beautiful lake at the farm. Jordan and Michael left the music open to be certain their guests would be up and dancing throughout the evening. The perfectly planned day allowed for an amazing amount of time for dancing and getting crazy. 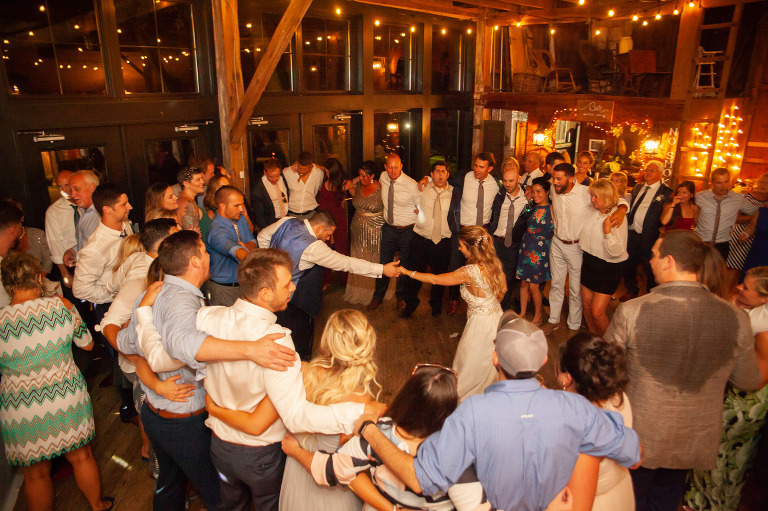 Take a moment to look over their crazy fun (and super long) dancing playlist to see just what a great time was had by everyone. After a relaxing time of visiting and eating, the newlyweds kicked things off with their first dance to Van Morrison’s “Crazy Love”. Jordan’s cousin, Scott, started the dancing portion of the night with an excellent performance of “Wagon Wheel”. 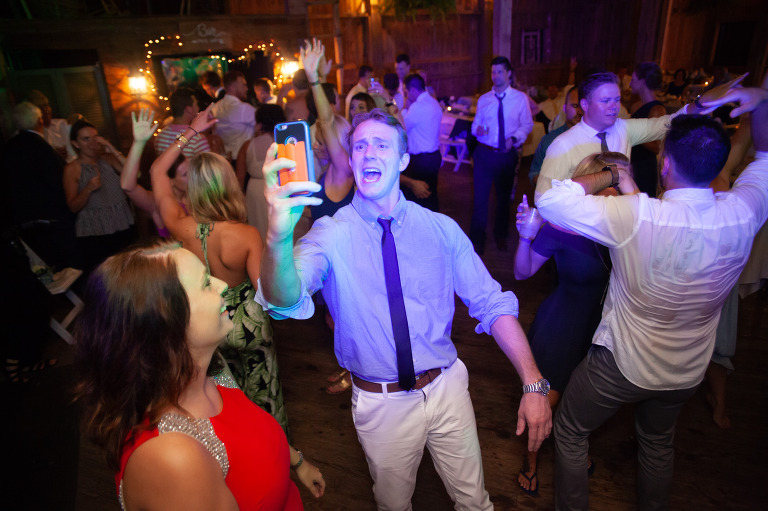 It really got things going for a fun and upbeat party. Towards the end of the night, most of their guests were enjoying the amazing time that Jordan and Michael had prepared for them. 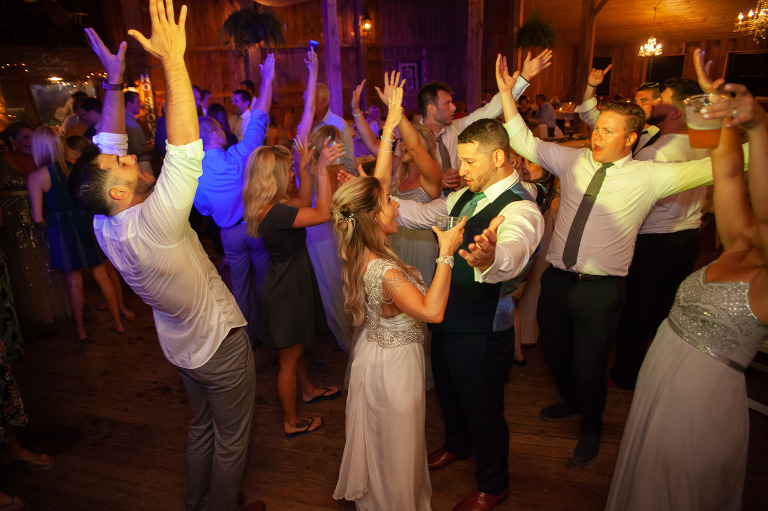 Their hard work had paid off in a wedding and reception that had shown their friends and family how special it was to have them as part of their happiest day.